Hello! I hope you had a lovely weekend! Summer is in full swing and if your summer is anything like mine, it’s keeping you very busy. 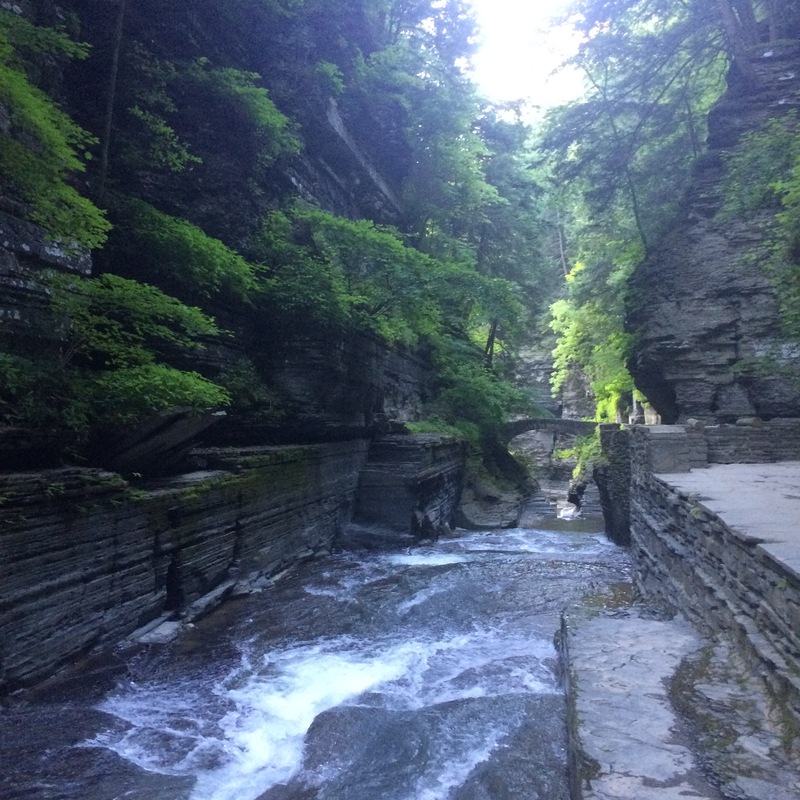 This past weekend I had the opportunity to visit family in Ithaca and Owego, New York. Holy smokes, that state is beautiful! I’ve spent a good amount of time in Ithaca throughout my life, but as I get older I really start to appreciate how beautiful the area is. We took an early morning hike in the Enfield Glen gorge before a day filled with catching up with family and honoring my late grandmother. Any road trip with my family always includes at least one audio book, and this one was no different. It used to be when we would travel we would pick up a book on CD or cassette from Cracker Barrel, listen to it, and then return it to another Cracker Barrel. Thanks to technology, we don’t have to stop at Cracker Barrel, and we don’t have to pay a cent for a huge catalog of audio books. We put the OverDrive app to good use and could even connected my smartphone directly to the car speakers with Bluetooth. I know this isn’t necessarily new technology, but it’s my first time really using a Bluetooth enabled car, and it was awesome! If you’re about to hit the road and looking for an audio book to listen to, or just a good book to read, check out some of our latest additions to the Reading Room.